SIT DOWN BILL. STAND UP STEVE! Apple is crowned Number one on the BrandZ top 100 of 2011. Am I jubilant, well daaah! Am I bias? Hell yeah! Let me straighten things up, I’m brand-bias. We live in a cheesy world by definition. We live in a world were source codes are more highly regarded than sweet icons. We live in a world where command prompts are more intellectual than a “genie-effect”. We live in a world where Mac wannabes think that getting there is about aluminum-colored covers, lit-up logos on the lid, or epilepsy-inducing transparency and shadow effects. Well people, it’s what goes under that lid. The world woke up only to find out that Apple did NOT do it again. It simply kept doing it. They invented the personal computer, they launched the first digital camera, the established the USB, FireWire, music and movies. They did not make phones, they made iPhones, they did not make tablet-PCs, they made iPads. They did not make computers, they made history. And you wonder why I am bias?! You want to be a programming geek? Sure, why not? But at least be it on a personal computer that gives you a choice. Besides, I mean really, why do you want to be a programming geek at the first place? I love my Mac… And my Mac loves me. No, I am not blinded. Relationships that last for 24 years cannot be blind. And no, I am not a designer (for heavens’ sake!) Microsoft created Excel and Word for the Mac first! Did you know that? When PCs were still struggling with Lotus 123 and WordPerfect, Microsoft, yes Bill himself saw the potential in Macs. If Apple opened its architecture, Bill would be doing windows now… literarily!! And why didn’t they? You might ask. Well because its windows were clean! Sorry I had to crack the joke. No, seriously, Apple did not open its architecture to avoid inaugurating an Insults hall of fame! Those of you who have to struggle with PCs’ and hardware and software incompatibilities, fans syncs, sound cards, video cards, know what I’m talking about. Oh! Oh! And the best: Plug and Play!! Plug, and then play at trying to make them work together!! What the hell?! When was the last time you plugged a piece of hardware without being intimidated by pop-up screens, drivers installation crap, and the best, confirmation of “your hardware is ready to use” without anything showing on your desktop?! Plug and play my a**! Macs are beautiful machines! Raymond Loewy said “beauty sells”. And boy! Was he right! 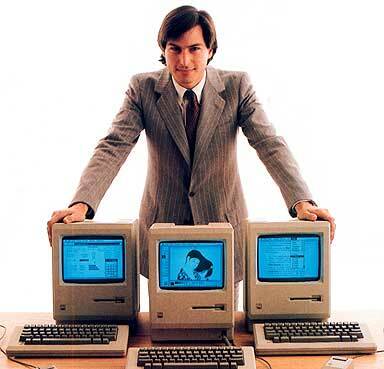 When Steve Jobs returned to Apple, he created the iMac… in 6 flavors! Not hardware flavors, but sweet tasty colorful and fruity flavors. In less than a couple of months, the iMac was in the Guinness book of World Records. Every year, Apple tops the industrial design awards. Apple is about beauty because we want to live and work in a beautiful world. YES, you can build a beautiful computer, load it with an amazing system and Graphical User Interface, and still make it work miracles. Although the signature is not used anymore, Macs are still and will always be “The computer for the rest of us”! Ok debunkers, give it to me! Speed? Price? Flexibility? What? Name it! 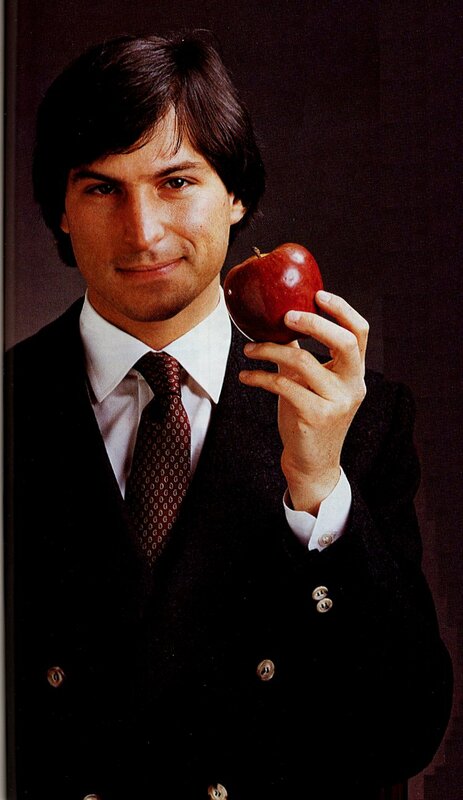 Not anymore, Steve knew how to pack all of those benefits in one amazingly looking piece of art. That’s why Apple is a top brand. That’s why Microsoft is down to Number 5 and Apple up to Number 1 in the top 100 brands. Numbers and the people have spoken. Apple never talked Megabytes and resolution. Apple talked about more time to create and less time to execute. Apple never talks about RAM and ports. It talks about enjoying the experience. Apple never talked about plug and play… It simply applied it… for real. Why? Because you never brag about a car having tires! You never brag about a house having a door! Plug and play IS what computers are all about… At least in the 21st century. It’s like still claiming today that you have a color TV!! Apple is a top brand not because people mention it most, or buy it most. It is a top brand because people love it most. This was published on Mashable: “Not only did Apple surpass Microsoft in market capitalization to become the second most valuable U.S. company in 2010, it also superseded Google to become the most valuable consumer-facing brand in the world, according to a study published by global research agency Millward Brown.” Its brand value jumped up by 84%. That must be worth something! It’s simple. The ratio of Mac users who shift to PCs versus PC users to swing to Mac is infinitesimal. Sit down Bill. Stand up Steve by Ibrahim N. Lahoud is licensed under a Creative Commons Attribution-NonCommercial-NoDerivs 3.0 Unported License.